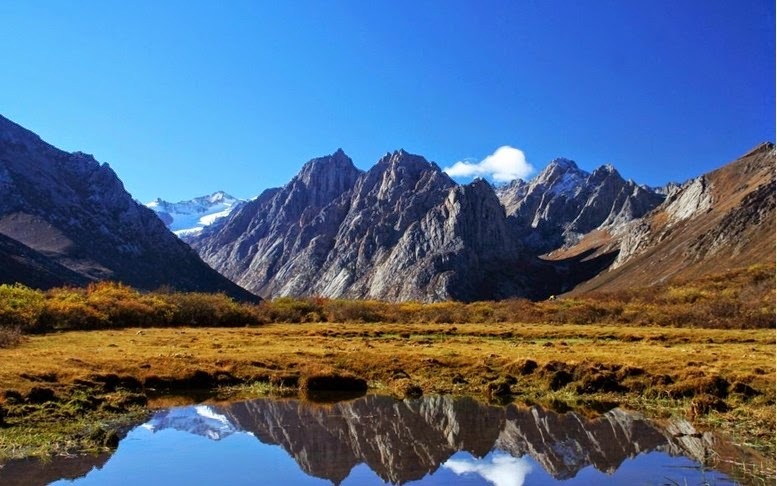 Situated at an altitude of 5,369 meters above the sea level, Nianbaoyuze is a holy mountain in Jiuzhi County, in the grassland of Guoluo Plain, Qinghai .Province, People's Republic of China. 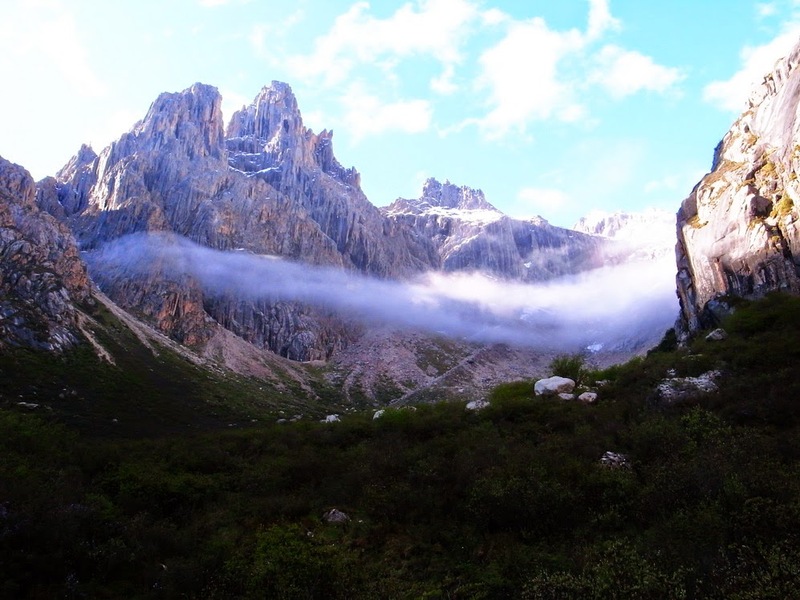 This mountain is worshipped by the Tibetan tribes as God of Mountain which is also called as Guoluo Mountain. The mountain is having lots of high steep peaks, fearful glaciers and deep gorges. 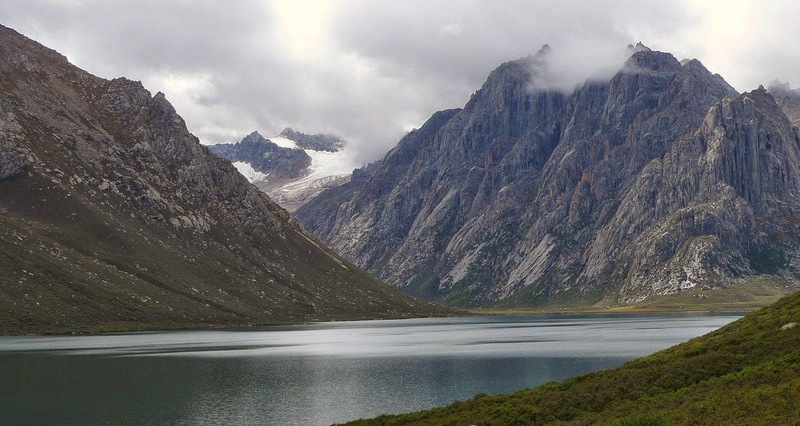 Two famous lakes namely, "female monster lake" and "goddess lake" are situated at the foot of the mountain is a spectacular view. The unpredictable snow climate adds up the mystery of Nianbaoyuze. The climate changes are very much visible in this part of world during the four seasons. The average altitude of the mountain is 4,000 meter above the sea level, but the highest peak is 5,369 meters above the sea level. The inhabitants are mainly Tibetan tribes otherwise known as Guoluo tribes. The climate change during July and August are quiet mesmerizing to watch. During these two months you can experience the four season climate changes. Heavy snow start to fall continuously in the night and in the morning when the sun rises, the whole mountain is filled with a blanket of white fog. The entire stretch shall be visibly reflects the golden sun rays and in the back drop the sky will be in limpid blue. May be over a time, the thick cloud begin to rain profusely. The mountain is snow covered throughout the year. There is a beautiful legend among the Guoluo tribes related to Nianbaoyuze Mountain God. When the mountain god was engaged with severe fighting with a monster, a hunter saves his son, the only son of the mountain god by helping to kill the monster. To show his gratitude, the mountain god betrothed his beautiful younger daughter to the hunter. The couple blessed with three children namely Ashiqiangben, Angqianben and Banmaben. The Guoluo tribe is divided in to three sects and they are beleived to be originated from the three children of mountain god. That is the reason, Nianbaoyuze' are considered as the ancestors of Guoluo Tibetans. 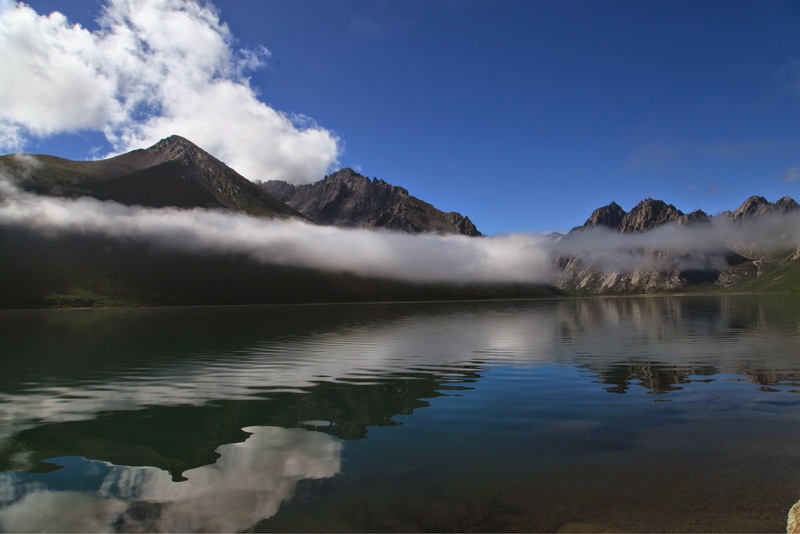 As per the tourism departments information, there are 16 large lakes and 300 small lakes seen in the mountain stretch, but it is said that there 360 lakes across the Nianbaoyuze mountain stretch. 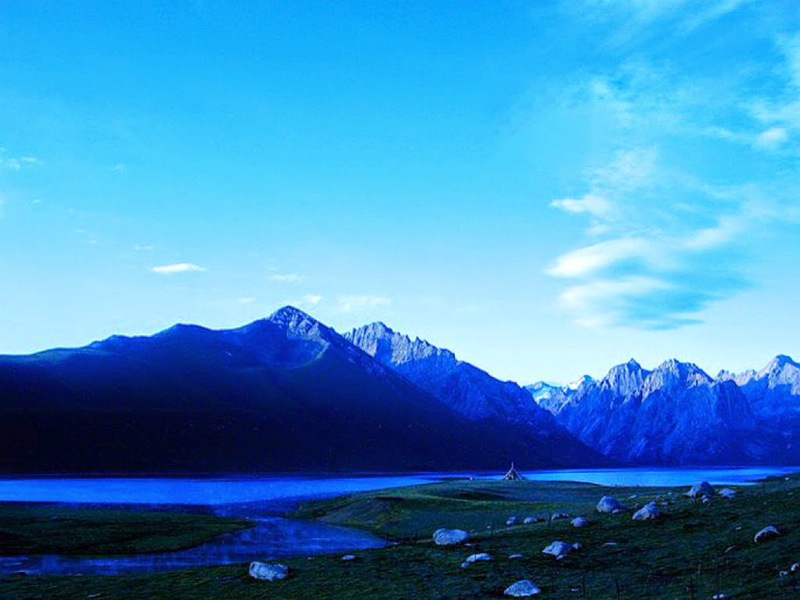 The number 360 is considered as sacred number as per Buddhism or traditional tribal belief and hence it is claimed that there are 3,600 peaks and 360 lakes in Nianbaoyuze Mountain stretch. The Mountain area is known to the public very recently and gradually visitors started to flow in to the mountain area. In May 2006, the mountain was officially recognized as a Natural Park and the Local Tourism Bureau started to promote this area. The mountain is known for its peculiar landscape, various plants and wild animals. There are no roads to the mountain stretch. You have trek all the way and to complete the entire area, you need to spare minimum seven days. It will be really challenging experience if you are able to withstand the extreme climatic conditions. Like any high altitude trekking, you should have all the protective gears to support your endeavor. You should have a good local guide who will be very helpful to complete your expedition without getting lost in the vast land. 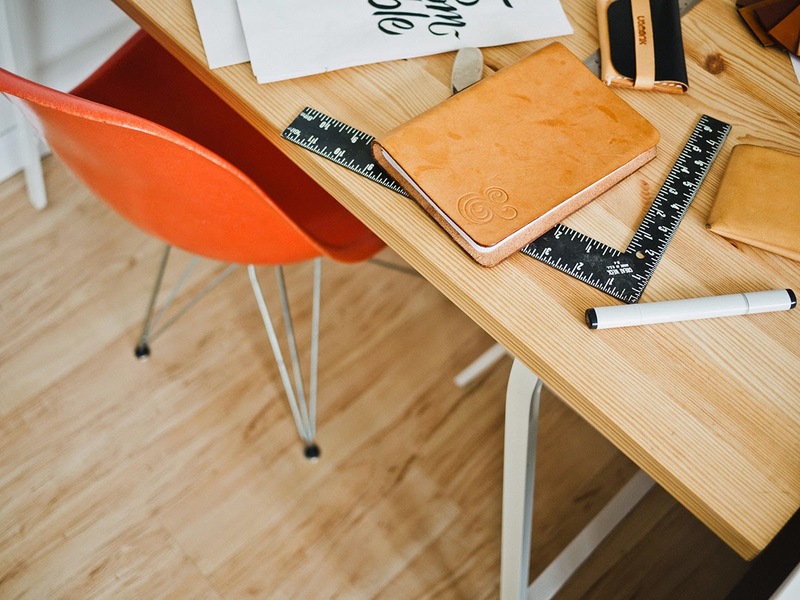 You need to carry lots of food and camping equipments along with you.